New Fly for 2008. Great fly for late summer run Steelhead on the Cowlitz River and Sea run Cutthroat. First day on the water during an evening session this fly produced 24 Cutthroats, and one 14 pound Steelhead. 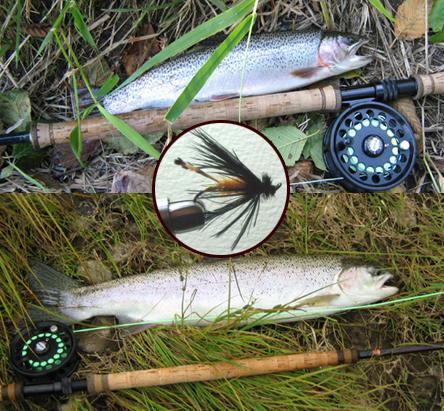 Whenever there are signs of September/October Caddis hatches this fly draws the strikes.